Cigars have been and always will be a major part of many victories, celebrations, and significant moments in life. Whether it be the closing of a business deal, a wedding, or the birth of a newborn , cigars are a great way to celebrate the moment. 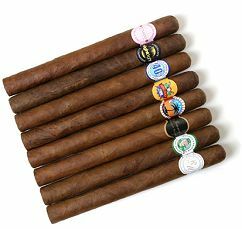 Personalized cigars make every occasion even more meaningful by identifying to the world the true meaning behind the cigar. Look no further! A premium custom label cigar is the perfect way to thank your clients, promote your company, and make a lasting impression. A personalized custom label cigar is sure to serve as a reminder to all those who enjoy it of where it came from and who gave it to them.